All across the United States, business leaders and managers--in large, midsize, and small companies, in all industries and with all kinds of workforces--are responding to the changes in the economy, the workforce, and in work itself. These changes have prompted an intense interest in making workplaces more effective and flexible in ways that benefit the employer and employee alike, such as improved employee health and turnover and greater organizational profits and productivity. The purpose of WORKFLEX is to provide the most essential information that HR leaders need to know about workplace flexibility so they can make it an effective reality in their workplaces. 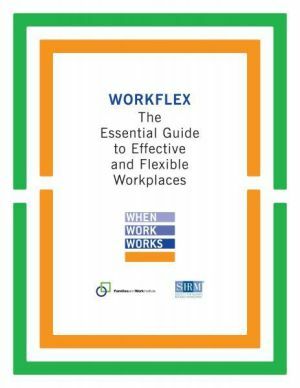 It includes research, legal, and experience-based perspectives and in-depth case studies of workplace flexibility as well the tools and techniques needed to translate those perspectives into action. Chapter 11: Drawing Conclusions--Where Do You Go From Here? -- Lora Geiger, Director of Human Resources, TURCK Inc.